Also impressive is the CD Manchester Free Trade Hall 1964. 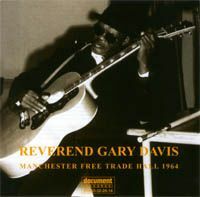 Recorded in Manchester, England, the 11 track disc includes excellent performances of " You Got To Move", "Cocaine Blues" and "Cincinnati Fow Rag." Longtime friend and legendary harmonica player lends a hand on "The Sun Is Going Down." The sound quality is very good, making this CD a must-have.